1. What are Eye Infections? 2. What cause Eye Infections? In this article, we will give you a brief introduction about the problem of Eye Infections such as its symptoms and causes together with 15 most effective treatments which we highly recommend. Eye infection is considered a rather common problem which can occur to anyone regardless of age . The infection can happen because of allergies, viruses, bacteria or even some microbiological means. Also it can take impact on either one or both of your eyes. Pink eye or Conjunctivitis: It makes the eye redden together with irritation. It is usually triggered by virus; however, in some case, allergic reaction as well as bacteria can be the cause . Hordeolum or Sty: It is triggered by the staphylococcal bacteria which exist on the surface of the skin. It will cause the red lump to form at the eyelid as well as the eyelash’s base. Also it might painful and itchy as well . Blepharitis: It occurs due to the clog of the small oil glands which are located near the eyelashes’ base, thus infect the eyelids. There will burning sensations as well as intense itching. Also you might experience the feeling of having something in your eye and even intermittent tearing . Orbital Cellulitis: It is a bacterial infection in which the eye’s tissues are infected. This infection could be dangerous that can cause lasting problems . Keratitis: This infection can be triggered by parasites, fungi, viruses or bacteria that come from outside the eye and injure the cornea . Dacryocystitis: It is the type of infection which takes place at the tear duct . Also there are some other factors which contribute rather significantly to the eye infections such as deficiency of immunity, surgery or trauma, lack of hygiene, exposure to either harmful chemicals or someone who is having contagious infection in eye. Eye infections can have some common signs which are tearing excessively, swollen eyelids with redness, itching and pain, sandy feeling in your eye, crusting or even yellow discharge at the eye area. Those symptoms can range from mild to even severe which are depended on the type as well as extent of the infection. Even though, eye infection might not be a permanent issue as well as serious concern regarding health, it definitely brings a great deal of discomfort. Therefore, it is necessary to have the doctor check in order to ensure it is no serious condition which might damage the optic nerve, blood vessels or retina inside your eye, in case it is not attended properly. 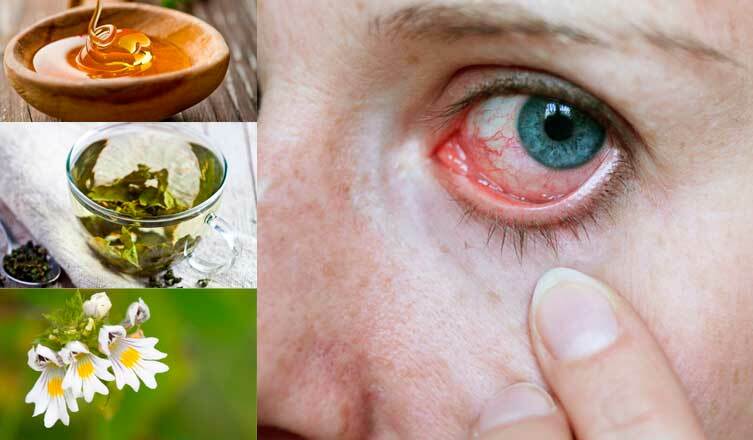 Here are the top 15 most effective home remedies for eye infections which are very easy for you to follow at home in order to help you get rid of eye infections as well as prevent further occurrence. The most recommended method in the list of home remedies for eye infections is certainly warm compress. 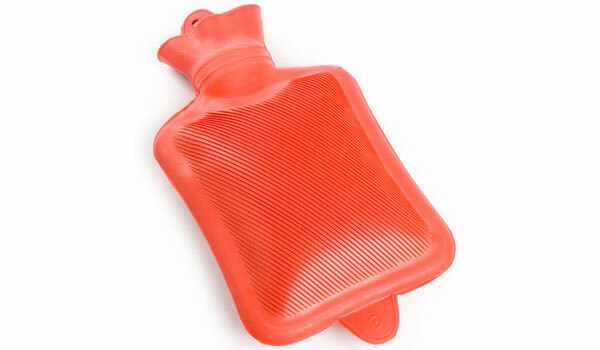 The heat will help you improve circulation of blood and healing. Furthermore, it also can help you alleviate swelling and pain, even avoid further infection. Take a clean towel to dip in hot water and then squeeze to get rid of excessive water. Apply it onto the closed eyelid for about 5 minutes. Perform again for couples of time. Have your eyelids and eyelashes cleansed with a cloth in order to get rid of scales or oily debris. Perform this method for few times per day until there are improvements. Note: In case both eyes are infected, have each eye applied with separate compresses. 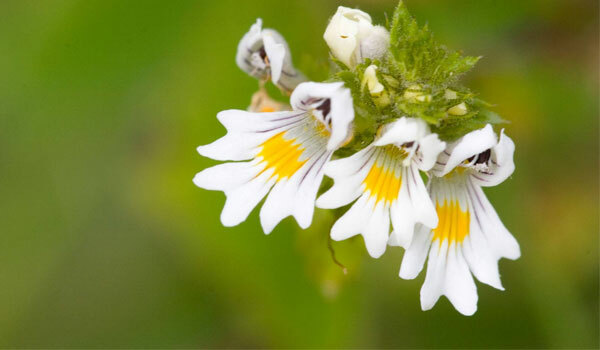 Also called euphrasia, it is an extremely effective herb in the list of home remedies for eye infections, particularly pink eye or conjunctivitis. The fluid-drying and infection-fighting properties from eyebright can significantly improve the healing and prevent infection from spreading. Take a teaspoon of this herb into some water and have it steeped for 10 minutes. Let it cool down and then have it strained with the cheesecloth. Have your eye washed using that solution for several times every day. Also you might apply the 10% homeopathy eye drops in order to alleviate inflammation and irritation. Have each eye took a drop for couples of time every day. This tip from the list of home remedies for eye infections is incredibly effective against itchy, inflamed and irritated eyes. It will help you cleanse off the debris deposited in your eyes as well as manage the infection which will prevent the infection from spreading. 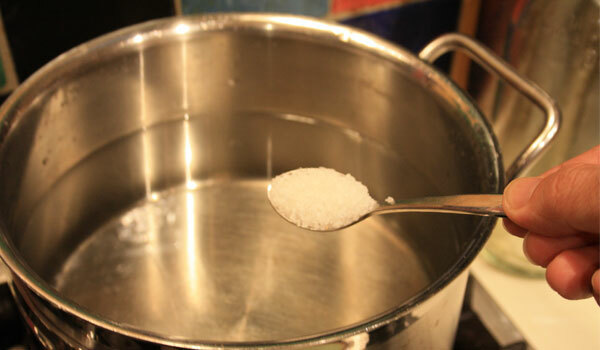 Take a teaspoon of salt into some water and dissolve. Have the solution boiled and let it cool down completely. Have your affected eye rinsed thoroughly using that solution. Perform for several times per day. Note: It is recommended to use distilled water instead of tap water as tap water might still have impurities and chemicals. 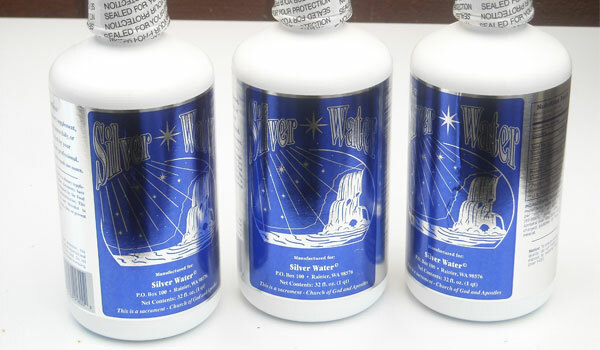 The ability to alleviate eye irritation and itchiness which are triggered by bacterial and viral infections is what make colloidal silver a valuable ingredient in the list of home remedies for eye infections . The tiny particles of silver which are suspended in water can clear the infected cells through the electromagnetic attraction. Then those infected cells will be eliminated through the bloodstream. Take 2 drops of colloidal silver into both eyes and have them blinked a bit. Perform twice per day. Another way is taking the OTC ointment of colloidal silver to apply directly onto the area surrounding eyes in order to avoid itchiness. 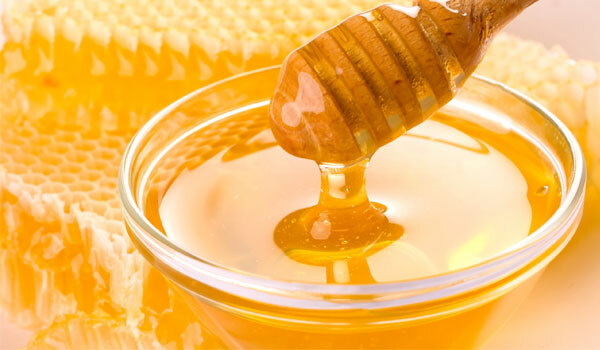 The mighty antibacterial property is the reason why honey can appear in the list of home remedies for eye infections . Moreover, honey is reported to be excellent at the case of ocular flora in deficiency of tear or the disease of meibomian gland. It is recommended to use either organically-raised honey or manuka honey . Take some honey with some distilled water in equal amount to mix altogether. Apply directly that solution onto the eye using a cotton ball. Perform 2 to 3 times per day. Also you might take a drop of honey into the eye directly. With natural tearing, it will support you in removing discharge, debris or dirt in your eye. Perform 2 to 3 times per day. The high level of tannic acid is what enables green tea to make the list of home remedies for eye infections. It can relieve your itchy eyes while decreasing the puffiness under your eye. Also it contains antioxidants together with various nutrients which are essential for the overall health of your eyes. Take 2 bags of green tea and soak in hot water for couples of second. Have the bags removed after squeezing out the excessive water. Then have both the bags and the water placed into the fridge for cooling down. Have your eyes washed using that cool tea. Then take the cold tea bags to apply directly onto the closed eyes for about 15 minutes. Perform 3 times per day. Besides green tea, you might use the bag of black tea as well. Well-known for its antimicrobial, anti-inflammatory and anti-irritant properties, it is especially effective in the treatment of conjunctivitis. 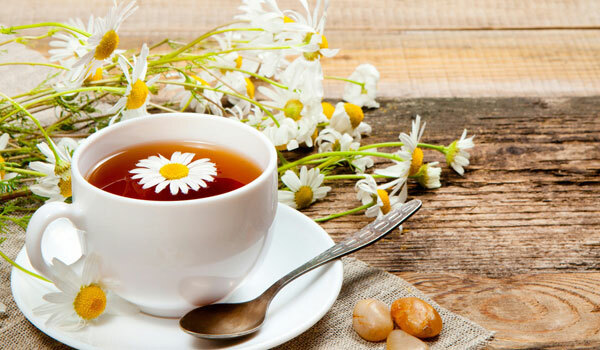 Together with its calmative and soothing properties which can significantly alleviate irritation, redness and puffiness under eye, there is no doubt that chamomile should be presented in the list of home remedies for eye infections . Take a teaspoon of its dried flowers into some boiling water and have it steeped for about 5 minutes. Then have it strained and allow it to cool down. Have both the outer and inner eye cleansed using that solution. Perform once every few hours during the day. Also you can place some tea bags of chamomile into the fridge. Then apply them directly onto the closed eyelids for maximum 10 minutes per time. Perform several times per day. Excellent at combating the symptoms of eye infections such as tearing, burning sensation, dryness and redness with its antifungal and antibacterial properties, it is certain that boric acid is an essential component in the list of home remedies for eye infections. Take 1/8 teaspoon of boric acid at medicinal grade into some filtered water and mix together. Have the solution boiled then let it cool down. Have the solution strained using a cheesecloth. Then have your eyes washed using that solution. Perform 3 times per day and remember to using freshly-made solution every time. Note: There might be some slight burning or stinging at first but it will quickly fade away. The malic acid from apple cider vinegar which is unpasteurized is considered a powerful antimicrobial agent that can combat infections efficiently. Furthermore, it can help you get rid of debris and germs in your eyes and improve the healing. That is why apple cider vinegar is highly regarded in the list of home remedies for eye infections. Take a teaspoon of unfiltered and raw apple cider vinegar into some filtered water. Use a cotton ball to soak this solution. Have your infected eye washed on the outside carefully using the soaked cotton ball. Perform every couple of hours in several days. Within the list of home remedies for eye infections, this ingredient is acknowledged as the safest yet highly effective, particularly for babies. Containing antibodies such as immunoglobulin E which is capable of preventing the bacteria from sticking onto the eye’s mucosal surface, it can help you restrain the bacterial growth, thus quickly improve the healing . Take some breast milk into the cup. Then take 2 – 3 drops of breast milk into your affected eye by using an eye dropper. Perform every few hours or just if needed. From the list of home remedies for eye infections, there is a spice which is so effective that you should consider its application . Take a teaspoon of turmeric powder into some water. Use the dropper to apply that solution into your eyes 2 times a day in order to relieve the pain instantly. The high level of antibacterial property is what enables coriander seeds to make the list of home remedies for eye infections as it can help protect the eyes not only before infection but also after infection . 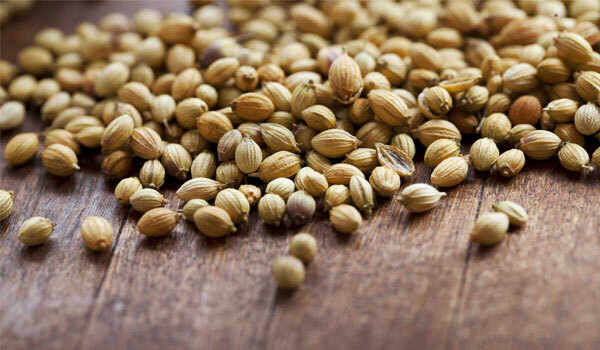 You just need to take some coriander seeds into some boiling water and then let it cool down. Have your eyes washed using that coriander water. The swelling as well as burning will be reduced soon. Also containing antibacterial property, this seed is a decent choice in the list of home remedies for eye infections which you should consider applying. You can take have some fennel seeds boiled in water, then have it filtered and allow the water to cool down. Have your eye washed using that water in order to alleviate inflammation, redness and pain. Also you might take fennel tea to wash your eye as well. Pain as well as inflammation in your eyes can be alleviated effectively with fennel seeds due to its omega-3 fatty acids which are capable of reducing free radicals in the body while improving the immunity against infection. It will be a good choice for you to consider in the list of home remedies for eye infections. Take an ounce of flaxseed into some boiling water. Have it steeped for at least 15 minutes then have it strained. Use the solution to apply directly onto the affected eye. Perform 3 times every day until there are improvements. Note: Women who are pregnant are not recommended to apply this tip. The last tip in the list of home remedies for eye infections belongs to jasmine as it can help you alleviate redness, irritation and inflammation which come from eye infections. Take 8 to 10 flower of jasmine into either boiled or distilled water. Next morning, have the mixture stirred gently. Then have your infected eye applied with an eyedropper for 1 to 3 times a day in 3 days. Finish by applying a soaked cotton ball with witch hazel onto the infected eye for 15 minutes. Have your eyes splashed using cold water for couples of time every day in order to improve the strength of the eyes. Also you might use the OTC eye drops for relieving the symptoms of eye infections. Have your eyes rinsed using rosewater for twice per day. Also you might drop some rosewater into your eyes for obtaining instant relief from itchiness. Have some tearless shampoo of babies diluted with some water and cleanse your eyes with that solution to get rid of debris. Keep out of contact lenses for couples of day when you are having infection. Avoid touching the affected eyes with unwashed hands. Avoid sharing bedding or towels in order to prevent infection from spreading. Avoid putting on eye makeup as well as sharing the applicators and makeup in case you are having infection on eyes. Have some anti-infective sprays, cleansers and sanitizers around in case you need to use them. If the infection does not improve in couples of day, have your doctor advised as soon as possible.